Is a Non-Convener Application Right for You? Medicare’s BPCI Advanced Cohort 2 (Model Years 3, 4, and 5) application window is fast approaching. Let us help you determine if a Non-Convener Application is right for you! 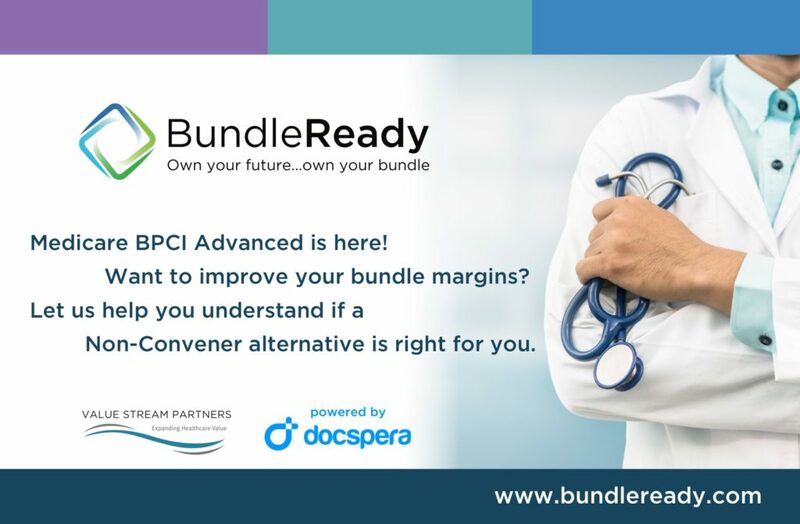 BundleReady provides you with the right customized solutions, services, and programs to manage your patients and your practice. DocSpera Expands Its AI-Based End-to-End Episode of Care Platform! DocSpera is an integrated web and mobile-based HIPAA compliant coordination platform to coordinate surgeries with entire care team, manage preoperative plan and streamline collaboration around episode of care.